Well then, your real life slaps you in the face. Stuff happens. You get buried under the avalanche of your daily life. You need to pay your bills - do your taxes - find paying work - chauffeur your kids to baseball practice. You know - real life. And not that it's all awful - it's not, it's just really time consuming - which leaves almost no time for flashes of inspiration to spark in your brain. So, while I've been doing lots of work this past year, sadly none of it has involved directing my next short film. What has been going on is my usual assortment of editing corporate videos, documentaries, local commercials and various odds and ends - a typical freelancers bounty and one that I'm grateful to have in these tough times. Recently, I completed editing, sound mixing and doing graphic work for the Goldman Environmental Prize videos. These videos will introduce and tell the stories of this year's recipients of the prize that is awarded to everyday folks who do extraordinary things to protect their local environment. Each year we also re-edit the stories together into a half-hour show which airs on PBS called The New Environmentalists. It's always a pleasure to work on something that highlights such inspirational and compelling people, and we've been fortunate to have won a regional Emmy Award for this show twice in the last couple of years. I'd love to show you the videos for this year, but you'll just have to wait until their names are officially revealed. I can tell you that one of the stories was very interesting to do as it revolved around an issue that got major worldwide attention recently. I was in the unique position of knowing about some of the elements of this story just a week or so before it exploded in the press. On an entirely different note, I had a very troubling experience as an editor recently. As a freelancer who works from home, I am sometimes put in a peculiar position of having strangers in my house. Most of the people I work with I've known for a long time and consider them friends as much as clients, but with more and work coming through Craig's List and other online sources, this is now not always the case. So, I was in the position of working with a new client when he decided that he wanted to come over to finish up work on a demo video we were doing for a new piece of software. Nice enough guy, so no problem. We finish up that video and he mentions he wants to do a small thing and edit some footage that he took of his family around his house that will be included in a little "happy face" video to open up some meeting. Easy enough - I do these sorts of things all the time. Nice guy, nice family - no worries. We finish the videos, he pays promptly - says the videos worked great, everyone loved them, he'll be sure to be back on any new projects that come through. Months later, I get a rather strange call from one of his colleagues at the company he works for. So, I call him back and he says "I just wanted to let you know if you hadn't heard from John (not his real name) lately, that unfortunately he's been out of the office for a while." He continues, "Actually at this moment we're not sure if he's coming back." He sounds really uncomfortable and I can tell he's sitting on some bad news. I'm expecting him to say that John has some terminal disease and how awful it is. Then he says, "We wanted to let you know before you heard it on the news..." I'm thinking, wha? My head spins. I can't believe what I'm hearing. All I can think about is this guy in my edit suite, in my house, watching video of his kids - laughing and playing outside the home where this guy will soon kill their mother. It's hard for me not to question my judgement on people. How can you know - how can you really know what someone else is thinking. 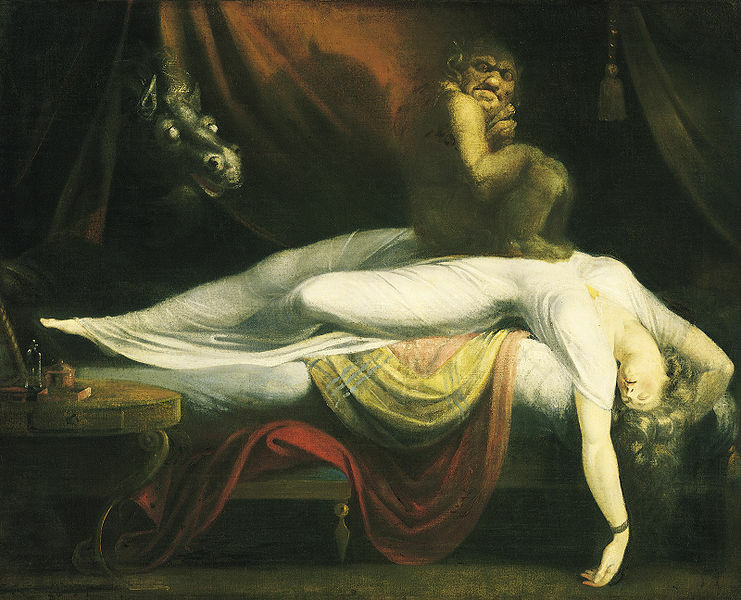 What inner demons they are fighting with. On happier news, I'm pleased to announce that a film I did some editing work on last year just had it's premiere at the Atlanta Film Festival. Without a Net tells the story of four kids from the drug controlled slums of Rio de Janeiro, who become involved with a local circus. It's really a great story and I'm so glad that my friend Kelly Richardson has completed her project and is making the festival rounds. Check it out if you get the chance. Speaking of women-produced filmmaking, I also recently funded this cool looking film noir project on Kickstarter called the Lilith Necklace by Melanie Killingsworth. It's always nice to have the opportunity to help others see their visions fulfilled. I figure, "Hey if I can't get my project rolling right now, might as well help someone else get theirs off the ground." 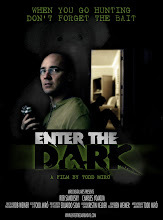 As for Enter the Dark, it is still going strong, with upcoming festival screenings in Chicago, Toronto and even all the way up there in Saskatoon. It's now running on its own momentum, as festival directors are now contacting me and sometimes even waving the entree fee! This is the advantage of a film that has already screened in many festivals and won a few awards. Once a film starts getting some buzz, it creates a life of its own. Starting the buzz is always the hard part. Which brings me back to my starting point - fits and starts. I've struggled through a couple of ideas, but I think I've settled on a nice, tasty little moment of darkness to work on next. I don't want to give away too much of the piece yet, but it is inspired by very real events in my lifetime. If I can pull this off successfully then perhaps bigger things are on the horizon. But for now, I'll take things slowly. This was an amazing article telling about film making in your own way. I have watched the trailer of the circus family they are rehearsing the project of their circus show. The kids are really amazing to watch about their talent. Thanks for the Documentary video provided at this blog. Did you know that you can shorten your urls with Shortest and get cash from every visitor to your short urls. Thanks a lot for sharing and I have some special things for you. If you are in free time, soccer games free will be a perfect choice we recommend to you. With nice graphic style, high-quality interface and smooth animation, this game don’t let you be disappointed for sure.